One of the key aspects of the legislation is to make sure that your staff are kept informed of their status following their assessment. You can do this yourself, or your payroll provider may be able to do this for you. We can arrange a pensions scheme which handles this by default, meaning there is less for you to do. It’s important that you provide us with email addresses for all your staff. If we have staff email addresses the important communications from the pension scheme can be issued to them directly. Without these the communications will be issued to the scheme point of contact, often a director, and it will be their responsibility o ensure these are distributed within 24 hours to avoid falling foul of the rules. You can use a work email address, but we recommend using a personal email address wherever possible for the simple reason that if a staff member leaves your employment they can be easily updated with their options upon leaving the scheme. What communications will my staff receive? Typically your staff will receive a message welcoming them to the pension scheme, and depending on the scheme selected, they may be asked to create a password to their on-line account. After their first assessment they will receive another message explaining the results of their assessment. This second message will also explain their options. 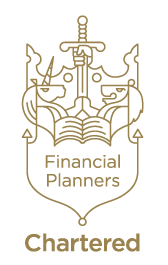 Annual statements will be issued to scheme members to keep them informed of their plan details and pension value.